In my last post, I had told you that I would be going live. Guess what---that video has gone viral! I am shocked and surprised in equal measures. As I type this, the video has got 683K views,488 shares, 13K likes and 3.6K comments!!! Can you believe those statistics? I have talked about friendships, how they change as we change, how it is hard to forgive and what to do if there is jealousy in friendships. I have also talked about the books I am currently reading. I had actually read out a passage from my new book #ItsAllInThePlanets where Nidhi discusses a friendship with her step-mom (whom she is very close to) Tara. Then there was a technical glitch, and hence the video got split into two parts. It is the 2nd part of the video that went viral. As per my blog resolutions, I am trying to blog at least thrice a week---I plan to post on Mondays, Wednesdays and Fridays. And if possible, will post photo-posts, in between too. See you all soon. And do watch the video, come back here and tell me what you thought about it! 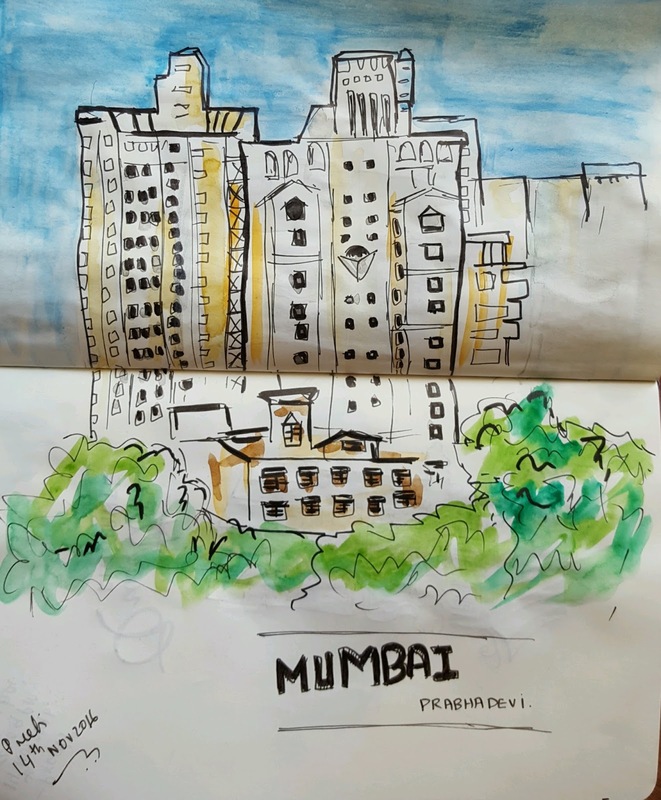 I am sharing a sketch I made here. Hope you have a great weekend! What are your weekend plans? (Mine is to stay at home and catch up on sleep and make art that makes me happy!) If you share, I am listening. Addendum: The post has got over 1.4 million views, more than 42K likes and more than a 1500 shares :) Am stunned !!! I have read somewhere 'Rare as is true love, true friendship is rarer.' I think you are blessed if you have a true friend. And, I believe that forgiving someone is not that hard, but it is very hard to forget. Sometimes very hard to forgive if the words have seared your soul. It crossed 1.5 million views now.Crazy! Is it really impossible to turn a long back relationship into pure friendship... the one that lasts for life..? The question will require a long blog post or a video! Hope your exam went well? Good luck! Madam you have a large number of fans in Delhi who regularly follow your writings through your books and blogs. Really amazing..&..just i want to say that " friendship is a boon given by nature but it depend on us that how we are going to treat". Presently reading your book life is what you make it, so just with curiosity I came here to know more about you, staring chapters seems boring, but later on it picked up its pace and now getting interesting more and more. No--please call me Preeti :) No need of m'am etc. Glad you liked it.